i am always drawn to books about the Biblical role of a wife. i have so many books on my reading list & about 5 of them are about being a wife. 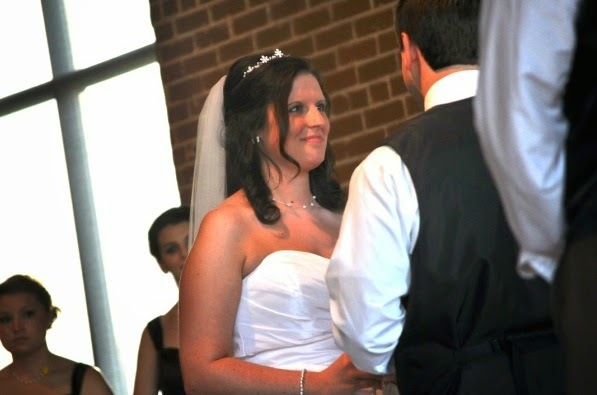 i have only been married a year & so i know that i have so much growing to do in this area. i love that women who are so much further on the road are sharing their experiences and perspectives. it is really great to learn from people that have already been there! i first heard of Dr. Gary Smalley when my dad gave me his book The DNA of Relationships which was a great read! well, The Wholehearted Wife was written by his daughter in law! 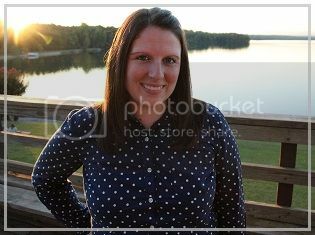 Erin Smalley and her husband, Greg, also work at Focus on the Family! i grew up on Adventures in Odyssey and my family even visited there once when we were in Colorado! i always think it's fun to make connections like that! this book focused on where i have the most influence in my marriage - myself! so it was definitely an interesting & challenging read! my marriage, of course, is made up of me & my husband, but the only part i have control over is my attitude and my commitment. as a wife, i am created to be the helpmate of my husband. the best way to help him & be a good influence to him is not with my words, but with my actions and my life. of course i pray that my words will be an encouragement to him, but i also pray that my life will be a godly example to him. because, as i'm sure we have all heard, actions speak louder than words. our character is fleshed out in our actions & so when i focus on being a godly woman & godly wife, then my actions will reflect that. and since Thomas is the closest person to me, he is the one most impacted by my actions and life choices. so although i strive to be a wholehearted wife for my own good, i also strive for that for my husband's good. even though the husband is the head, being a wife is also a lot of responsibility. both spouses can build up or tear down the other. i'm reminded of a quote i've often heard, i'm not sure who actually said it because i've heard Oscar Wilde and Albert Einstein, either way the quote is dead on. "Men marry women with the hope they will never change. Women marry men with the hope they will change. Invariably they are both disappointed." i love this quote because when it comes down to it... i can spend all my time hoping that Thomas will change OR i can spend my time focusing on changing & growing myself...becoming a wholehearted wife. there is so much truth in this book that i wish i could unpack it all and maybe someday i will. but for the sake of the length of this post i will just stay general. one of the biggest takeaways from this book for me was when Erin talks about honoring your husband. she says the best way to honor your husband is to choose to view him as a gift from God, a valued treasure. and when you see him as priceless, your attitude and actions will reflect that. 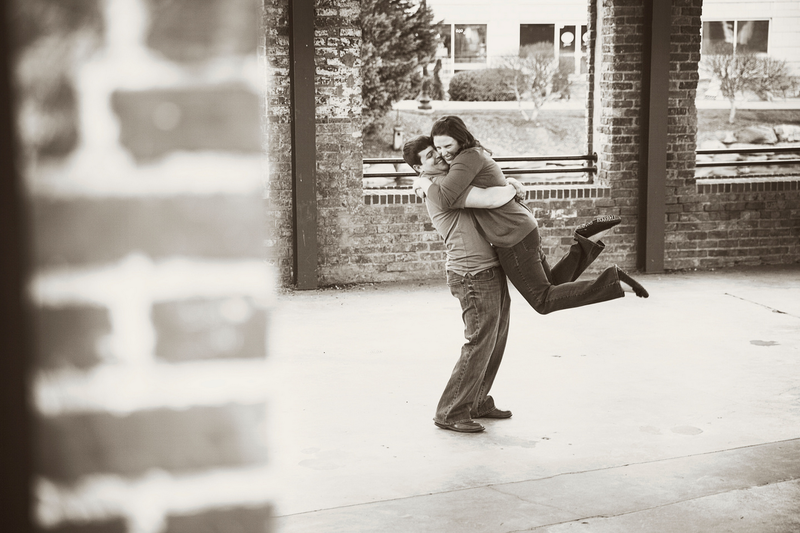 i believe the way that i choose to view my husband has a very large affect on our marriage. i could choose to focus on what Thomas doesn't do or i could choose to focus on what he does do. i could choose to focus on qualities he doesn't have, or i could choose to focus on qualities he does have. i have that choice. i can choose to dwell on who he is, instead of dwelling on who he is not. as a wife i am supposed to be an encouragement to my husband, and i find it easier to encourage & honor him when i am focusing on what he adds not what he lacks. another thing i have found helpful is to pray for my husband. every day. there is something so intimate about lifting up my husband to God through prayer. it helps me to think of him as a child of God and it helps me to better sympathize with his role as a husband and all the responsibility that carries. it helps me to see him through God's eyes and treasure the person he is. i am linking up with Rachel & Madison for Community Brew! 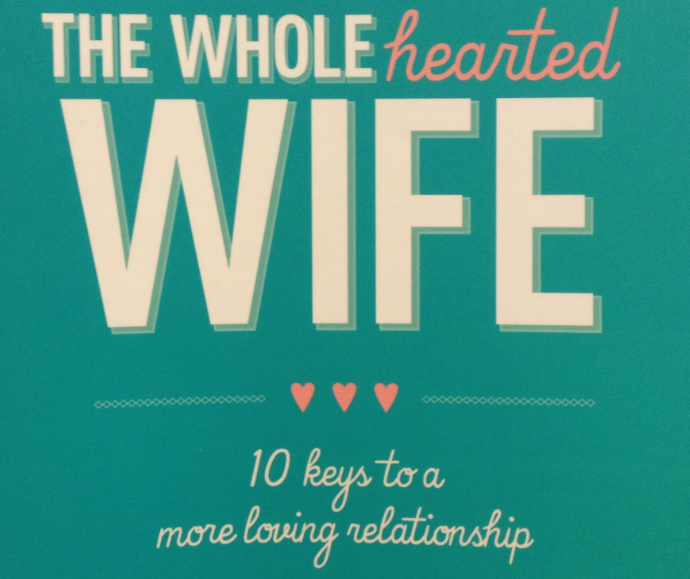 Tyndale provided me with a copy of The Wholehearted Wife in exchange for my honest review. regardless, i value authenticity & all opinions are my own. love this! Random... but The Hubs married some people in the Wyche Pavillion... have you ever been to a wedding there? So pretty!!!! This is beautiful! My husband and I are coming up on one year of marriage in September and I think I have already read through five books hah! So glad to find you through the linkup!! I was just paging through this book at the bookstore last week! I think the concept of working on yourself first is so true--many times it's not what people want to hear, though. p.s. Angel and I sometimes joke about how many "Garys" are associated with writing Christian Marriage books. We have books by Gary Thomas and Gary Chapman about marriage, and here's another Gary! Just an interesting coincidence! I loved this: "i find it easier to encourage & honor him when i am focusing on what he adds not what he lacks" - so, so true!! I struggle with focusing on the negatives in my husband and find that I am not as supportive of him when I am focusing on those things. I'm going to keep your post in my heart today and try to focus on all of the great attributes of my hubby! Thank you for sharing, sweet girl! WAIT!! I know that place in your engagement picture!! It's in Greenville! :) I love the idea of being a helpmate! That's such a great picture of marriage and our relationship with our husbands! That quote about changing is so perfect. Thanks for linking up with us sweet friend! Love these posts about Christ center marriages!! Thanks for sharing!!! Good read, thank you! Also, random question...but is that last picture in Greenville, SC? thank you! :) ahh that is so neat! i have never been to a wedding there, but i've walked by while one was going on & it is SO gorgeous! we almost got married there but it didn't accommodate as many people as we wanted to invite! ahh congrats on your first anniversary very soon!! ha - a kindred spirit - i tear through books too! it's just so interesting reading/learning about something that's such a part of who i am! :) so glad you stopped by Lauren!! ah neat! it is a good one! :) good reading material for the plane ;) it is so hard to hear sometimes, but it is so true! haha that is funny! there are a lot of Gary's & i have had that exact thought too! Oh, I love Adventures in Odyssey and the Smalley's books. I think I've read a few! I completely love this post. It's so easy to be half-hearted sometimes--just being glorified roommates, if you're not intentional. thank you, Dana! :) and yes it is!! do you live near Greenville? thanks :) it was one of our engagement pictures & probably in my top 3 favorites! haha i am glad someone else knows what adventures in odyssey is! when we visited focus on the family we got to visit Whit's End and it was so neat! i am the same way - i will catch myself thinking "if only Thomas would do this or think this way..." and that is just dumb! God created Thomas who he is and said "it is good" and it's my sinful heart wanting to change him! No, I live close to Hickory, NC but I am a photographer (and own a retail store) and did engagement pictures there (I think). I love that town though! They have such a great downtown atmosphere! thank you so much for these reminders! i am a control freak, which means that, unfortunately, i often try to control my husband - it always ends messy. and i wrote a blog post a while ago exactly on viewing your husband through a lens of grace (http://www.journey-mercies.com/2014/04/how-do-you-see-your-husband.html) - man, it makes such a huge difference to how i love my husband when i choose to live in the Spirit and think on things that are lovely and true. great post! Love this Robyn! so much truth, and I love diving into Proverbs 31 time and time again as a compass of where I am and where I should be! Thanks for linking up with us! Something my friend told me before getting married is that when I complain about Dave or complain about something he 'isn't doing' I am telling God that his gift to me isn't good enough! Holy Cow. That really made me think. I'm glad you are reading books. I'm pretty sure I read the DNA of relationships and it was pretty good. I'll have to send you a list of books Dave and I have. Thanks for linking up with the Faith and Fellowship blog hop. Thank you so much. Beautiful perspective. And so much truth here. I really liked the part where you talked about loving and honoring him as a gift of God and not what he does or doesn't do. Ooh, another book suggestion, it sounds like a good one. I've got to write it down! Such a great post! Very thoughtful and well written! I loved adventures in Odyssey growing up :-) That is a very cool connection! Saying hello from let's be friends blog hop! you're right.... it is very sad!! i do see wanting to "fix" Thomas in me though....so it's true...but also sad! wow! that really does make you think! that is a good quote to remember/live by! what a slap in the face to God....oh how prideful we can be! thanks Leelee! that is one of the hardest things for me.... not focusing on what he doesn't do! thank you Cathy! ahhh so many people loved adventures in Odyssey too! so fun & it's bringing back so many memories for me! :) thanks for stopping by! the circle | what's in your bag? real talk // why i have tattoos.